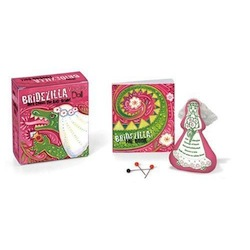 This unique Mini Kit features our wildly popular voodoo doll as a bride, complete with veil. It's a cute gag gift that provides a funny voodoo spin on wedding etiquette-or in this case, the boorish behavior sometimes exhibited by nervous brides as the big day approaches. Think of it as a survival guide for long-suffering bridesmaids.